From the blockbuster Justice League, movie comes Aquaman as a 8-ction Action Figure! 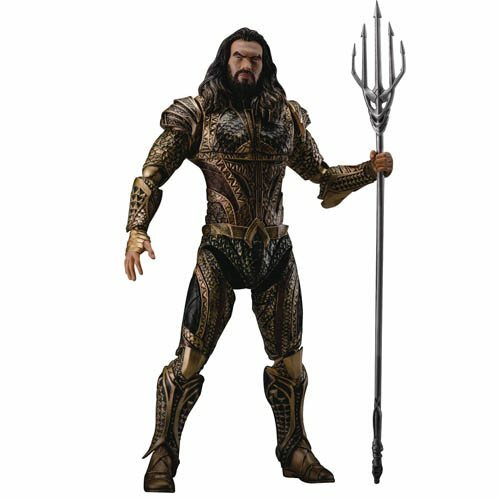 The Justice League Movie Aquaman DAH-007 8-ction Action Figure - Previews Exclusive was created using official references and scanned 3D images of the actor Jason Momoa. Aquaman comes with over 30 points of articulation along with several pairs of replaceable palms for easy completion of classic movements as seen in the movie. The exclusive alloy Poseidon Trident comes with wave special effects is able to re-create the scene of Aquaman's naval battles.